KEMEROVO, March 28. /TASS/. 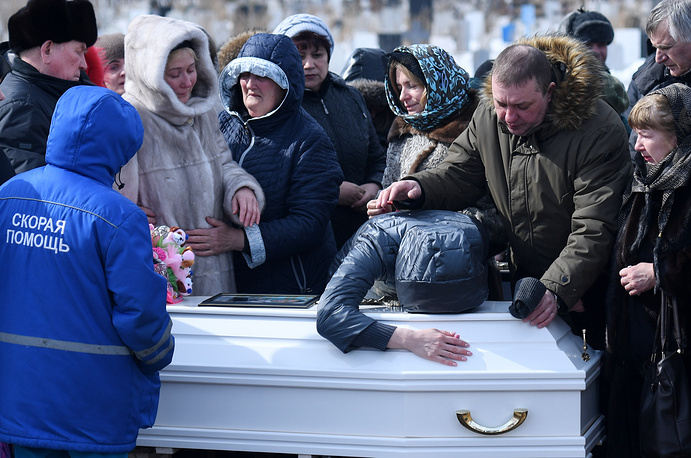 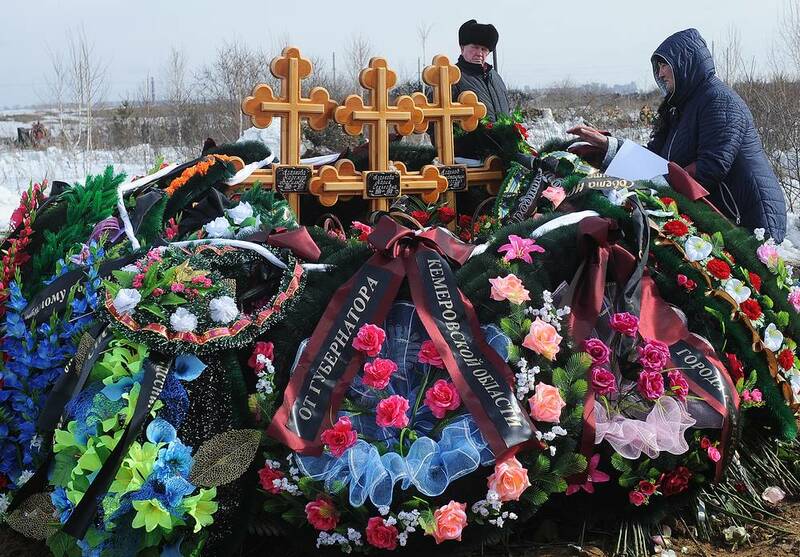 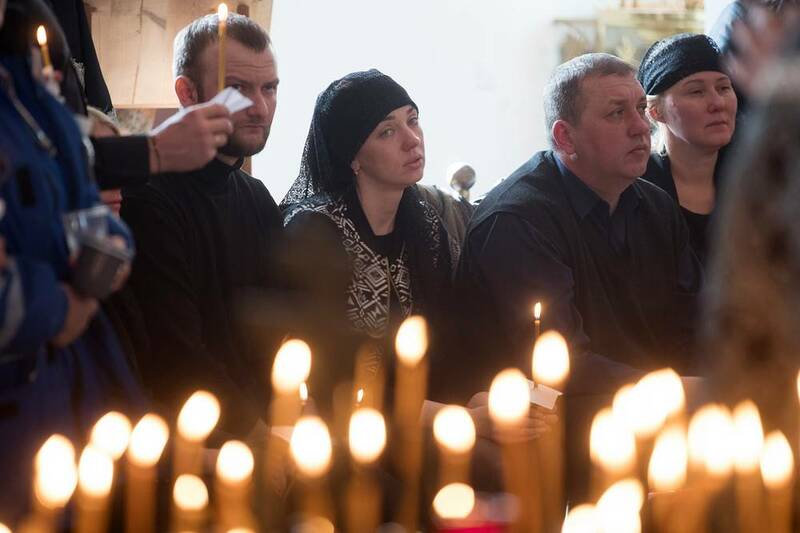 Funerals for the Zhimnyaya Vishnya shopping mall fire victims have begun in the Siberian city of Kemerovo. 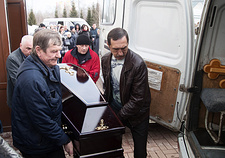 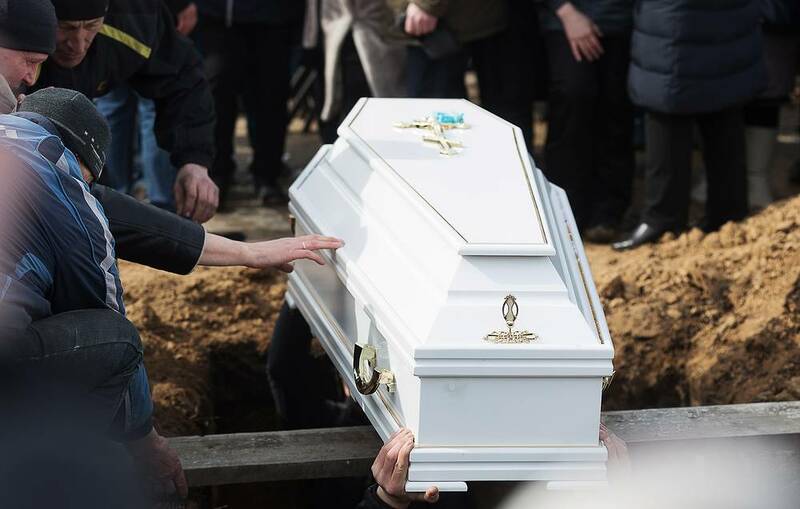 The first funerals took place at the Kirovskoye cemetery, a TASS correspondent reported. 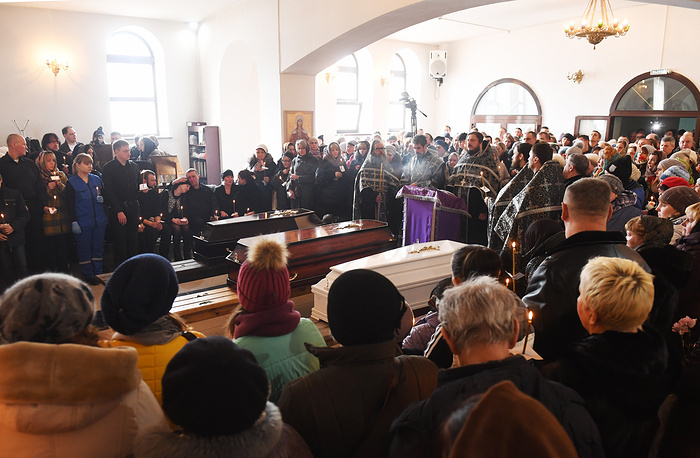 The bodies of two children and one adult were brought to the cemetery in closed caskets following a funeral service held in St. Trinity Church. According to earlier reports, on Wednesday, funeral services for the fire victims are underway in three of the city’s churches, involving dozens of people, many of whom bring flowers and wreaths. 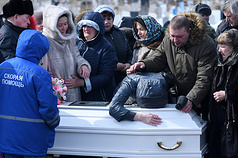 A fire erupted on the top floor of the Zimnyaya Vishnya (or Winter Cherry) four-storey shopping mall in the Siberian city of Kemerovo on March 25, eventually engulfing an area of 1,500 square meters. According to recent reports, the blaze killed 64 people, including 41 children. 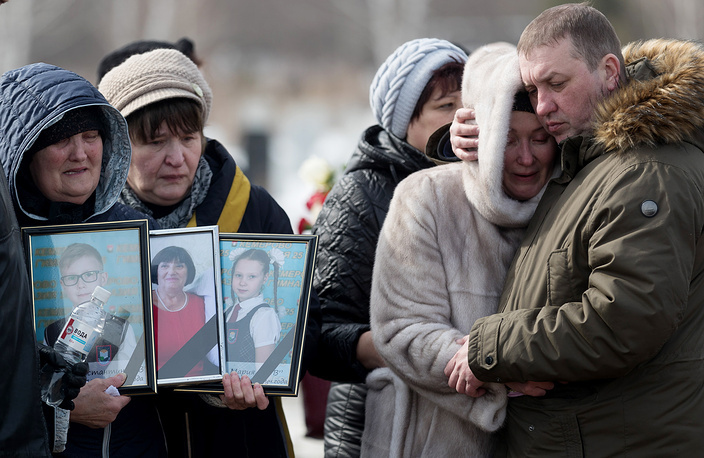 According to President Vladimir Putin’s decree, Russia is observing a day of national mourning on March 28. 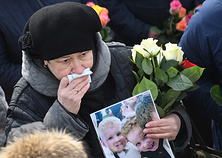 Flags are flying at half mast, entertaining events have been cancelled across the region.